We’ve been growing since inception, and have taken another 5,000sq ft of space in the same building at our HQ in Nottingham. This week we had a launch party to celebrate. This was a great opportunity to open some Champagne and celebrate with all those who have contributed to the success of Esendex, since its launch in 2001 – including staff, customers, suppliers and friends of Esendex. 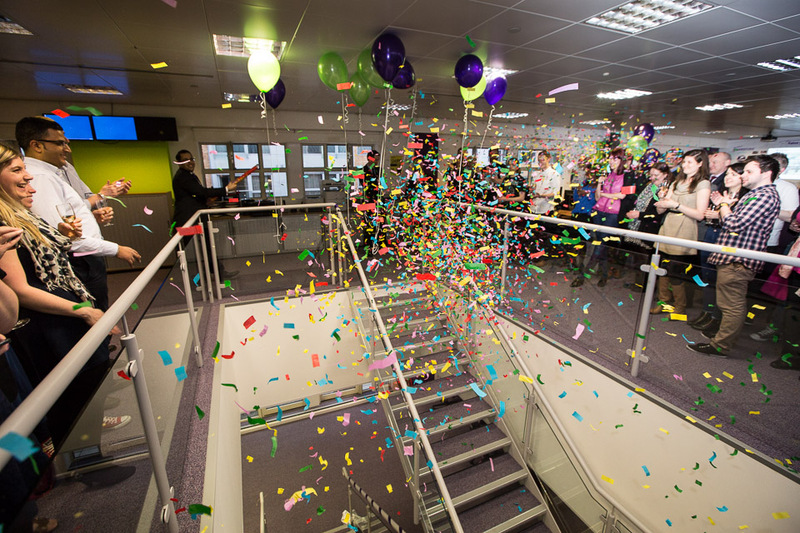 Councillor Nick McDonald (Cabinet Member for Jobs & Growth at Nottingham City Council), was our guest of honour for the evening, and after a fantastic speech he unveiled our brand new office space via text message. This message used our Push Notification service, sending the message to a laptop which then passed the message over Bluetooth to a LEGO NXT – this started to move the ribbon and released loads of balloons. It’s pretty amazing what you can do with SMS! The launch party was also the night that “the den” was revealed to all for the first time! 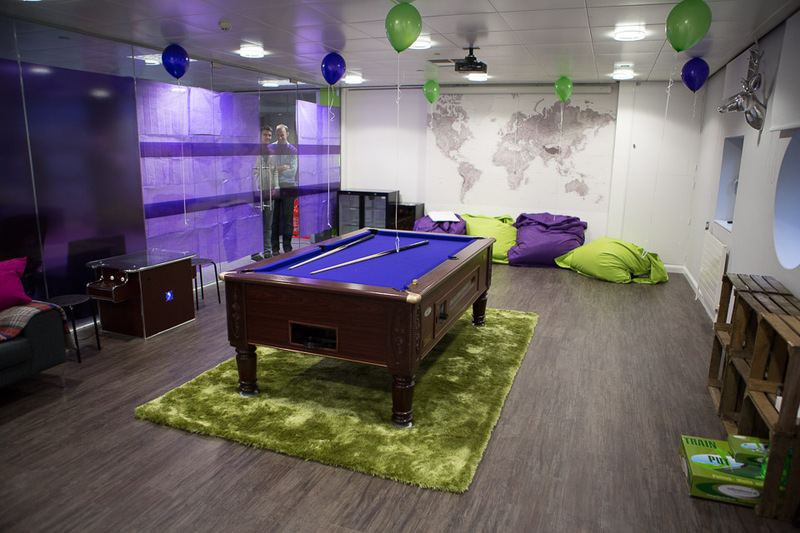 The den includes a break-out area with beanbags, a table arcade game and a leisure space with a pool table with baize in our corporate colour of purple. Thanks to everyone who joined us on the night and a huge thanks to our talented developer Dave, who set up all the techy stuff for unveiling the office via text message.